Sussex County Croquet Club was founded in 1869 by Henry Jones and John Hinde Hale. (These two gentlemen were subsequently involved in forming Wimbledon Lawn Tennis & Croquet Club.) 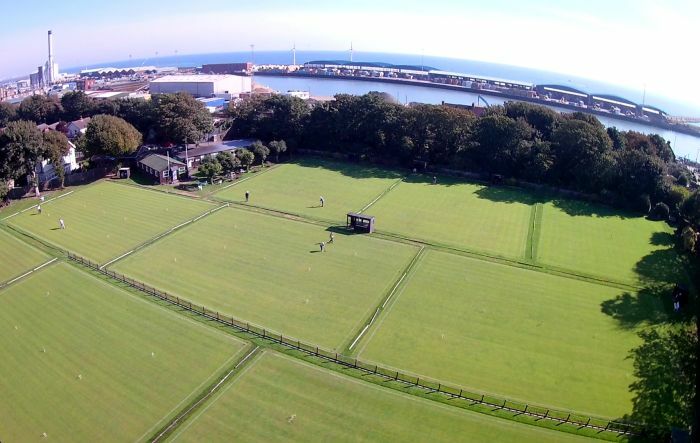 Originally based outside The Royal Pavillion in Brighton, the club moved to its present location in 1901 where its first annual tournament was held in the presence of The Duke of Cambridge. The club has a long history of hosting major events. In 2012 the decision was taken to renovate all its lawns with the work being completed in 2017. Car parks available for officials, players and visitors will be announced in due course. SatNav: Don't use the Club postcode as a destination as it takes you to the club back door!. Use Kingston Lane, junction with St Julian's Lane or enter BN43 6YW (postcode for Shoreham College opposite the club). Our entrance is just opposite the college. From Worthing, Shoreham-by Sea or Brighton and Hove, use Coastliner Service 700 operated by Stagecoach, approximately every 10 minutes (Mon - Sat), every 20 mins (Sunday). Timetable here. From Hollingbury, North Southwick or Holmebush areas service 46 may be useful. Service runs approximately every 20 mins (Mon - Sat) or 30 mins (Sunday) Timetable here. There are approximately 4 services each hour (Mon - Sat) on the Coastway route between Brighton and Hove to the east, and Worthing to the west, 2 services per hour on Sunday. Live train information here. A walking route from the Southwick railway station to the Club is marked on the map above and takes less than 10 minutes. Internet: WiFi access is available in and adjacent to the clubhouse. Connection details are published in the clubhouse. Catering: The club will be providing a full buffet service for lunch as well as a snack service. Tea, coffee biscuits and cakes will also be available for Competitors, Officials and Spectators. The club has a fully licensed bar which will be serving alcoholic and soft drinks.